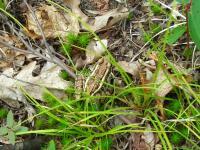 Photos taken at Middlesex Fells on July 12, 2008. For more (non-froggy) photos from this hike, go here. Copyright (c) 2008, Sandra J. Loosemore. Photos are provided for personal viewing only; no other use is permitted without prior written consent. For more information, see my main photography page. 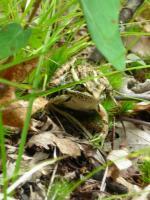 This cute froggy is a northern leopard frog. 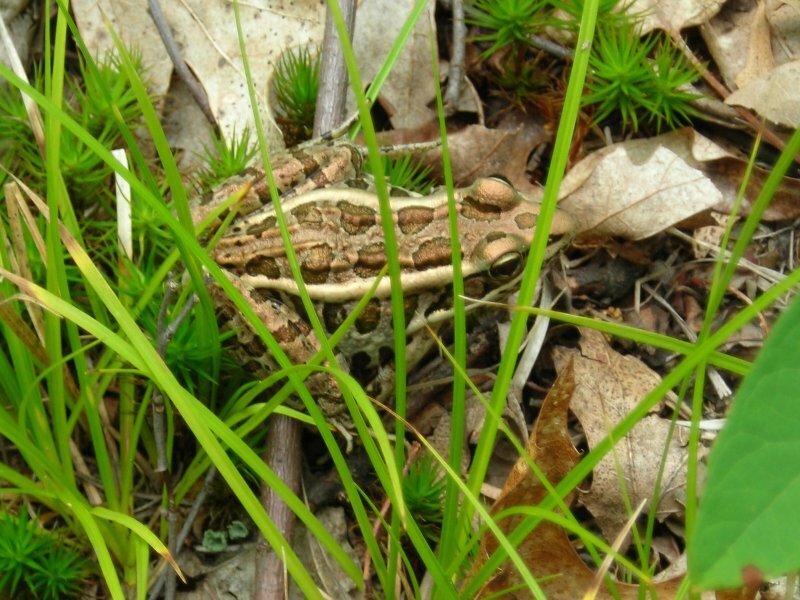 The similarly spotted pickerel frog is more common in New England, but they have bright yellow or orange patches on the sides that this one lacks. 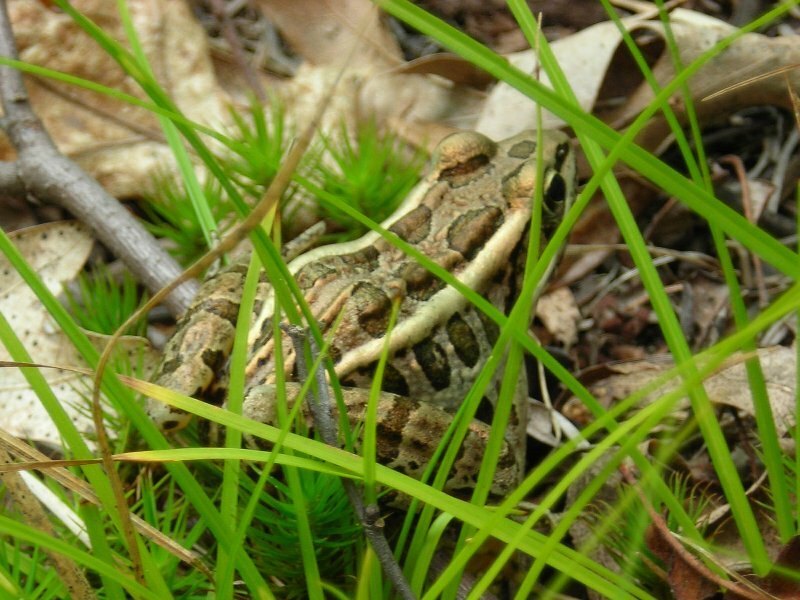 A closeup, showing the very prominent light-colored dorso-lateral ridges on the froggy's back. 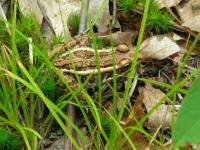 This frog was about 2 or 3 inches long. I was somewhat surprised to see a frog in the dry blueberry scrub, since they normally stick pretty close to water, but not far down the trail I saw the remnants of a spring pond.